Hooda was first picked in the Indian squad for the three-match bilateral T20 series versus Sri Lanka held last December at home, but did not get a game. 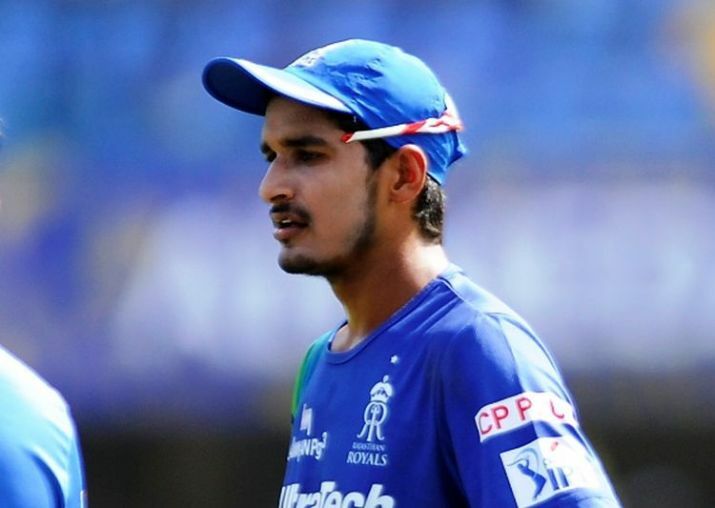 Team India's key players, including captain Virat Kohli MS Dhoni and Bhubneshwar Kumar and Jasprit Bumrah, have been rested for the Tri-Nation series, it is young Baroda all-rounder Deepak Hooda who is optimistic of making his international debut in the upcoming T20 tri-nation series in Sri Lanka. The 22-year-old Rohtak-born player has been chosen again in the T20 squad, to be led by Rohit Sharma, and this time he hopes to get a game. With senior pros like Kohli and Mahendra Singh Dhoni rested for the series, chances of youngsters like Hooda being given a chance in the tri-series, which kicks off from March 6 at the R Premadasa Stadium in Colombo, have brightened. "This is an important series. I did not get a chance (to play) in the first series (in which I was selected), I hope that I will now get a chance and I am prepared for it. I will give my 110 per cent," Hooda told PTI today. Hooda, a right-handed batsman and right-arm off break bowler, has so far played 31 first class games for Baroda in which he has amassed 2208 runs. He has also taken seven wickets. The player said he had discussed a few things about the game with former skipper Dhoni when he shared the Indian team's dressing room and was applying what the ex-skipper told him. "Yes that (being in the Indian dressing room) obviously helped. There are big players in the team, who have done so much for the nation. Speaking to them, you learn a lot," he said. "I asked M S (Dhoni), that being (batting) at number five, what should be my thinking and we discussed it and he told me (about it) and I am applying it," he added. Hooda has been to the island nation two times earlier and he said conditions there are similar to other Asian countries. Hooda, who played for the Sunrisers Hyderabad last year, said his experiences from the Indian Premier League will also help him in the T20 tri-series which concludes on March 18.